Only one week till National Bagel Day! Read on for the history of bagels, a special upcoming event, and an exclusive coupon! Bagels originated in Poland in the early 17th century, customarily eaten by Jewish families on Saturday evenings at the conclusion of the Sabbath, because the bagels could be baked very quickly. The bagel’s shape also made it easy to display them in the windows of bakeries on vertical wooden dowels. Coming to the United States with Polish immigrants, the production and sale of bagels became a thriving business within New York City, but it was only in the last 25 years of the 20th century that bagels gained more widespread popularity, thanks in part to automated production and distribution. Nowadays, we celebrate all things poppy seed and cream cheese related on February 9. We’re also celebrating Valentine’s Day a little early at our Farragut Einstein Bros. with a Brushes and Bagels event, “Cup of Love” with Wine and Canvas Knoxville! 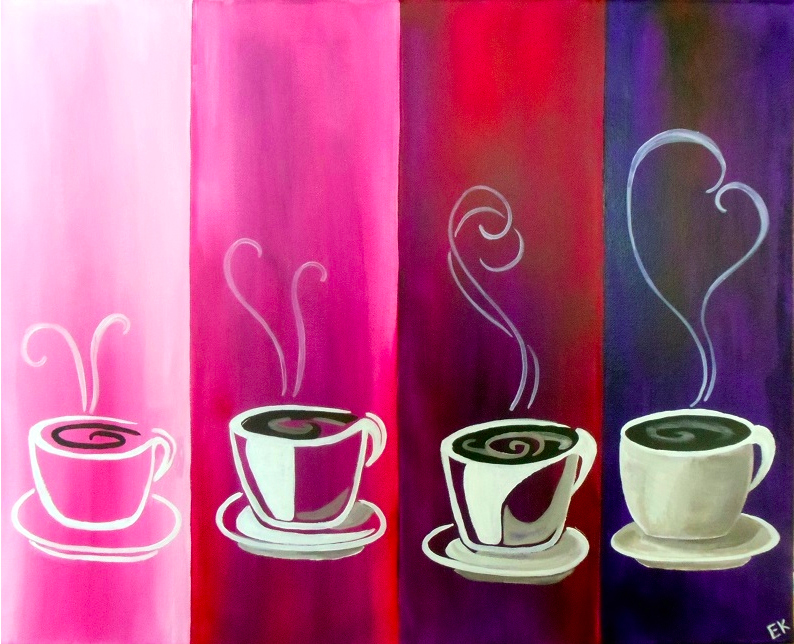 Sign up today to paint “Cup of Love” Monday, February 9 at 6 PM. Finally, in celebration of National Bagel Day, present the coupon below all day Monday, February 9 at either of our Knoxville locations for a FREE “Naked” Bagel – no need to cover it up, our bagels are delicious, even on their own!